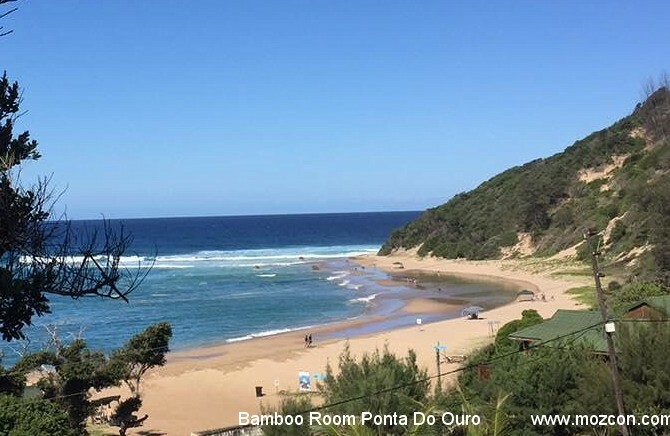 Tree Tops at Ntsuty is a private log cottage at Ntsuty Lodge within a secure complex located just above the main beach at Ponta do Ouro. 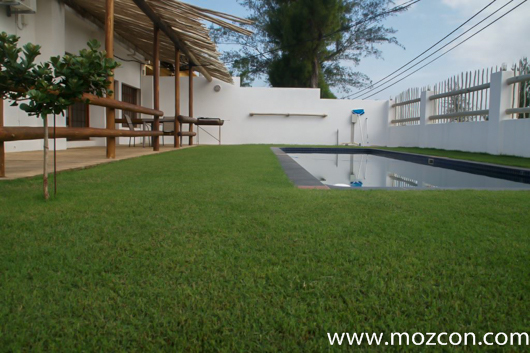 The cottage can accommodate 6 people in 3 bedrooms, self catering. There is a communal swimming pool at the lodge. 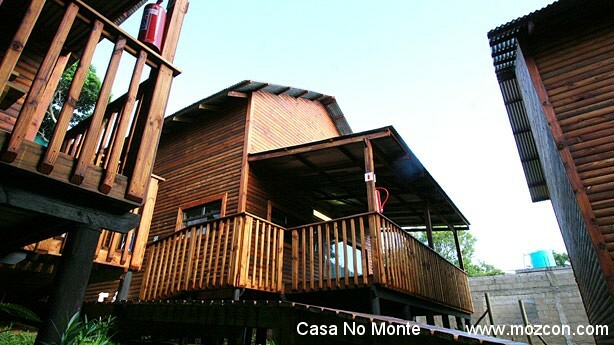 Tree Tops at Ntsuty is a three-bedroom cottage which can be booked as a two-bedroom unit or a one-bedroom unit or in entirety, and also features a shaded deck under the trees. Bedroom 2 - Twin room (2 single beds). 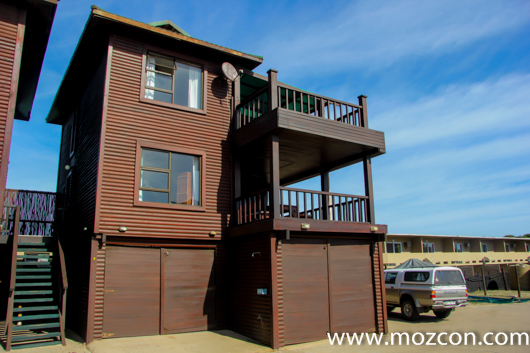 With a shower, kitchen, lounge area with DSTV, and an open balcony with gas braai facilities. Ceilings fans are provided in all rooms and the bedrooms also feature air-conditioners. 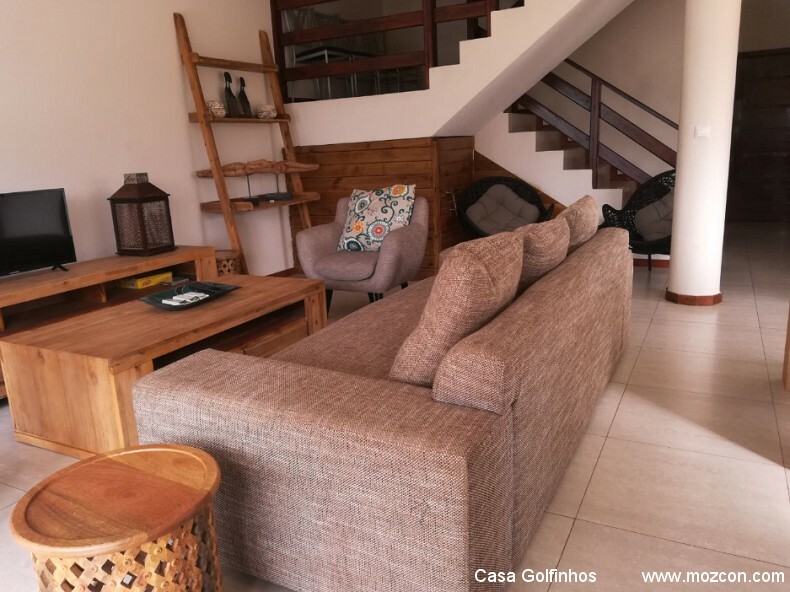 Downstairs One-bedroom Self-catering Unit: Tree Tops downstairs comprises of a queen bedroom, kitchen, shower, and a lounge with a sleeper couch which can sleep two children or one adult. Bathroom Facilities - Shared bathroom. 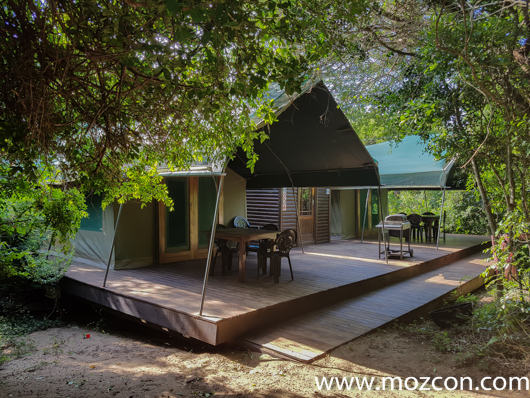 Ntsuty Lodge offers a resident's pool and Tree Tops is aptly named as it is nestled amongst the dune forest trees. 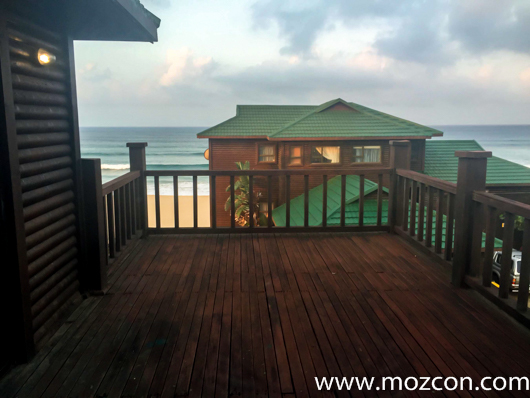 The cottage catches a cooling breeze but also has air-conditioning in the bedrooms, as well as fans throughout. Rates include daily service of the unit and maids can be booked for extra duties such as washing up. 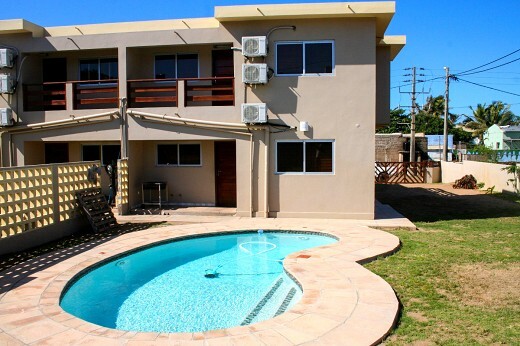 Guests can enjoy a DStv service, a fully-equipped kitchen and cotton percale linen, ensuring a comfortable and cool night's sleep. High season 15 Dec to 15 Jan.